This article in national outlet NextCity profiles Leon Walker as part of The Bottom Line, a series exploring scalable solutions for problems related to affordability, inclusive economic growth and access to capital. 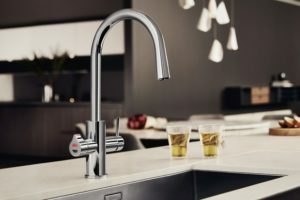 HydroTap is making a big splash in US media! Here are two articles in Architect Magazine! 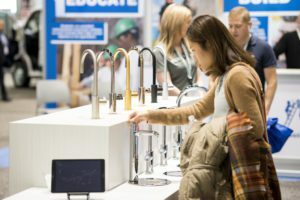 Products Magazine was one of the many media outlets that stopped by the HydroTap by Zip Water US booth at Greenbuild Chicago 2101. HydroTap was picked as one of their top 10 favorites for sustainability. 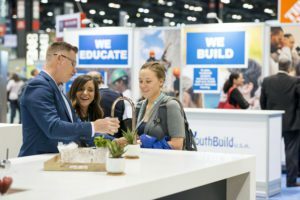 “Greenbuild, the largest annual conference and expo for sustainable construction, set up shop in Chicago this year, where we found 10 products that are pushing the envelope for innovation and efficiency. 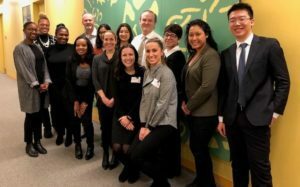 Connect Media Chicago wrote about the work of Marshall Bennett Institute of Real Estate students, who help companies develop real estate plans. Wind Systems Magazine interviewed two industry experts for this article about high performance computing and wind energy. Client is the The SC18 (the international conference for high performance computing, networking, storage, and analysis) which will be in Dallas, Texas, November 11-16, 2018. 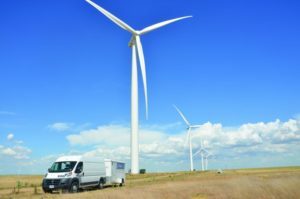 Research from WindSTAR is showing model-free control algorithms could help lower aging wind farms’ levelized cost of energy, thereby raising annual energy production. 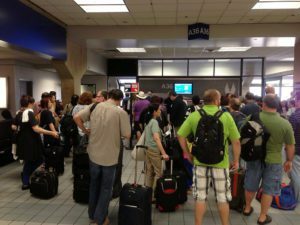 The summer travel season often means jammed airport terminals and oversold flights. When that happens, you might be asked to give up your seat and take a later flight. Should you, and how much compensation from the airline should you expect? Last year, United Airlines was the unwelcome focus of attention after a passenger, Dr. David Dao, was dragged off a flight after declining to give up his seat so that an airline employee could take his place. United, along with other airlines, immediately implemented changes in how they handle overbooked situations, in some cases increasing the incentives for booked passengers to voluntarily take a later flight. The GO Group surveyed a representative sample of air travelers to learn what consumers think they should get for accepting a bump. The opinions are widely divergent. 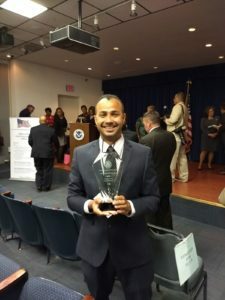 Luxury Coach and Transportation Magazine picked up our great story about GO Puerto Rico member receiving an award from DHS for its work with FEMA after hurricane Maria. Client Aerex is a source in this article about pesky garden bugs! So, now that it has finally warmed up around here, you’ve planted your garden and you’ve filled it with lush and vibrant flowers and plants. It’s a time-consuming job, but you’re extremely proud of your results. Watch out, though, there could be eager saboteurs lurking in your yard, patiently waiting for the right moment to pounce on your vegetation. I’m talking about pesky bugs, which come out from wherever they are this time of year. Watch this podcast interview with Leon Walker, DL3 Realty and the importance of his work in Venture Development. GO Group’s survey is picked up in Transportation Today News. GO Group predicts increase in travel in 2018. Collete English Dixon, the Marshall Bennett Institute of Real Estate, is interview by Bisnow National edition. 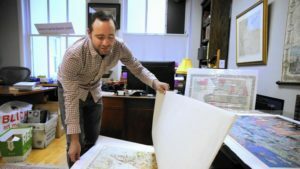 Chicago Tribune feature reporter Rick Kogan writes a delightful article about map expert Sammy Berk, founder of the Chicago International Map Fair. This is a great in-depth article about Chicago and the challenges for people living in under-served neighborhoods. 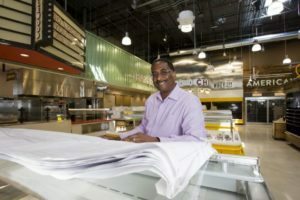 Client Leon Walker, DL3 Realty, was interviewed regarding his work on the Whole-Foods anchored Englewood Square development. CHICAGO (Nov. 2, 2017) – Leon I. Walker, managing partner, DL3 Capital, has released a discussion paper designed to share his experiences in an emerging field of real estate development that he calls “Venture Development.” The document, titled, “Venture Development: an Opportunity for Private Investors to Drive Concordant Change in the American Inner City,” is available for review at http://www.dl3realty.com/venturedevelopment. Venture Development is a modern, sustainable economic development strategy through which equity investors can pursue a positive holistic change in urban neighborhoods, while earning competitive risk-adjusted financial returns. DL3 has successfully implemented this practice by developing real estate projects that have helped revitalize Chicago’s urban communities. Its projects are more than just bricks and mortar. They are designed to provide an economic stimulus that ultimately lifts economic prospects and quality-of-life for local residents. “Nationally, we are seeing an increasing number of projects driven by Venture Development principles, and we believe this points to a growing opportunity for municipalities, institutions and philanthropic stakeholders to join together with private developers and investors to equitably transform and speed the recovery of rising urban neighborhoods,” says Walker. Based on his own experiences in the field, the paper explores the conditions that signal when a community in a state of economic stagnation could pivot toward a future with greater local economic opportunity. The paper describes DL3’s perspective on five phases of neighborhood economic development, the best entry point for investors, and the concept of a “risk premium” that often saddles disinvested communities. Supporting case studies are provided including lessons learned from DL3’s Englewood Square project, which in partnership with the City of Chicago, brought Whole Foods, Chipotle and Starbucks to the Englewood community of Chicago’s South Side. “My community development work has been concentrated in neighborhoods that rarely attract unsubsidized private equity capital – but where others see poverty, blight and risk, I recognize that under the right circumstances, great opportunity exists for meaningful and rewarding investments,” Walker adds. Walker, who was raised on Chicago’s South Side, is an experienced corporate real estate professional who is passionate about revitalizing Chicago’s underserved communities. In his community development work, Walker has been involved in structuring over $100 million in New Markets Tax Credit transactions. He is involved in many community initiatives including the Greater Chicago Food Depository, and he serves on the advisory board of the Marshall Bennett Institute of Real Estate at Roosevelt University and the government relations committee of the International Council of Shopping Centers (ICSC). DL3 Capital is a general partner of DL3 Realty, a commercial real estate company known for its commitment to Chicago’s urban neighborhoods. Among its many projects are Roseland Medical Center, Monterey Professional Center and Englewood Square. Current projects include a Jewel/Osco grocery store in Chicago’s Woodlawn neighborhood and the University of Illinois Mile Square Health Center in South Shore. DL3 developments have won numerous awards including the LISC-Chicago Most Outstanding Development Award in 2009 and 2017. For more information, visit www.dl3realty.com. CHICAGO (Feb . 02, 2018) – Sixty-six percent of GO Group survey respondents said they would prefer to pick and choose hotel services and pay accordingly rather than have one bundled price with charges for services not used. The GO Group LLC, an international ground transportation provider, conducted the survey and more than 150 people responded. Of the 34% of participants who said they preferred one price, several commented they chose this option only if all rates and fees were provided at booking and not at check out. 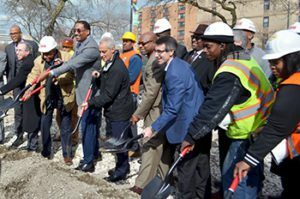 CHICAGO (March 8, 2018) – On March 7, Leon Walker, managing partner, DL3 Realty broke ground along with Mayor Rahm Emanuel and community leaders at 61st Street and Cottage Grove where a new Jewel-Osco will be developed. The project, a joint venture of DL3 Realty and Terraco Real Estate Development and Management, is a 48,000 square-foot development located in Woodlawn, an emerging community that is home to the University of Chicago’s South Campus and just minutes from the future Obama Presidential Center. The full-service grocery store and drive-through pharmacy will eliminate a food desert, bringing high-quality fresh food options and more than 200 jobs to the Woodlawn community. The store is expected to open in early 2019. The Preservation of Affordable Housing Chicago, (POAH) sold the site to DL3 Realty and Terraco last year for $2M. It is the last parcel of undeveloped land from the former Grove Parc public housing projects. DL3 Realty is a commercial real estate company known for its commitment to Chicago’s urban neighborhoods. Among its many projects are the nationally recognized Whole-Foods anchored Englewood Square; the University of Illinois Mile Square Health Center in South Shore; Roseland Medical Center, and the Monterey Professional Center. DL3 developments have won numerous awards including the LISC-Chicago Most Outstanding Development Award in 2009 and 2017. For more information, visit www.dl3realty.com. Walker, a native of Chicago’s South Side, has released a discussion paper designed to share his experiences in an emerging field of real estate development in a Discussion Paper titled, “Venture Development: an Opportunity for Private Investors to Drive Concordant Change in the American Inner City.” It is available for review at http://www.dl3realty.com/venturedevelopment. ABF Journal, cover story, bylined by Chicago Chapter of the Turnaround Management Association members. 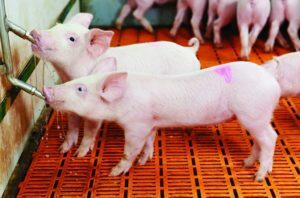 Preserving the Jewel in a Swine’s Snout: Inside the Award-Winning AgFeed Industries TurnaroundAnd here!